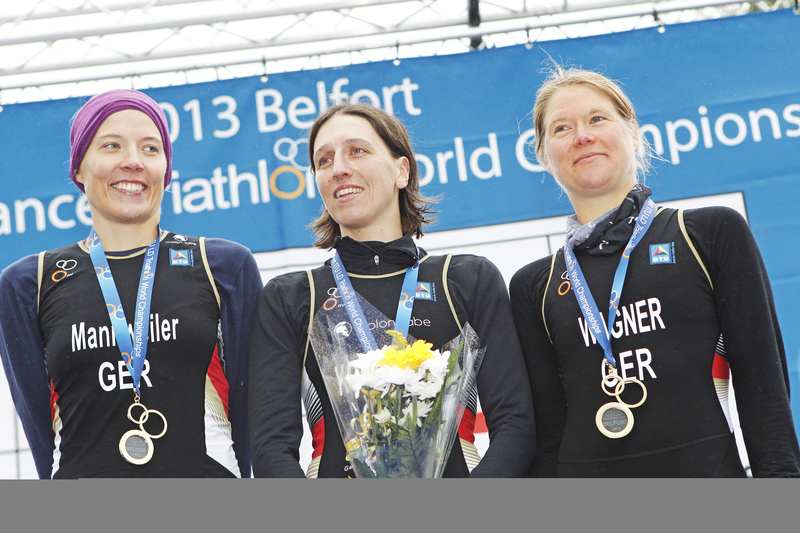 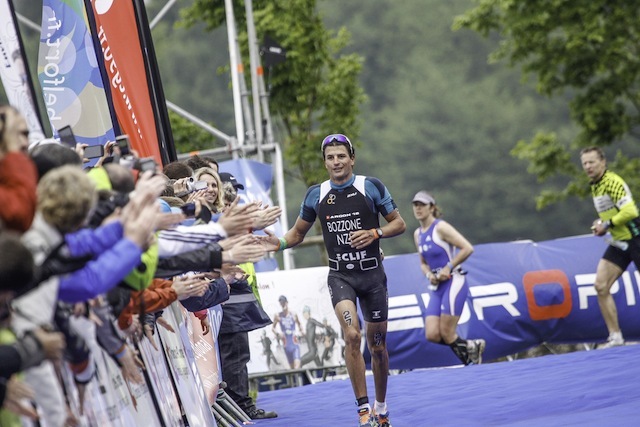 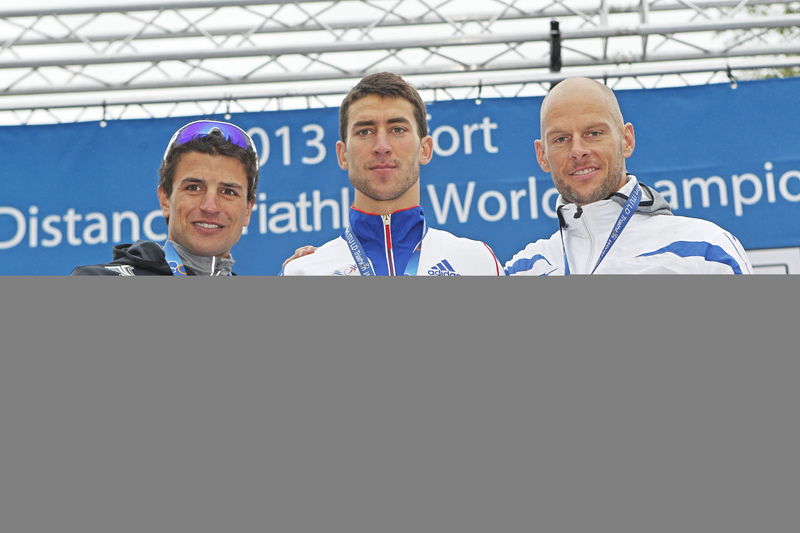 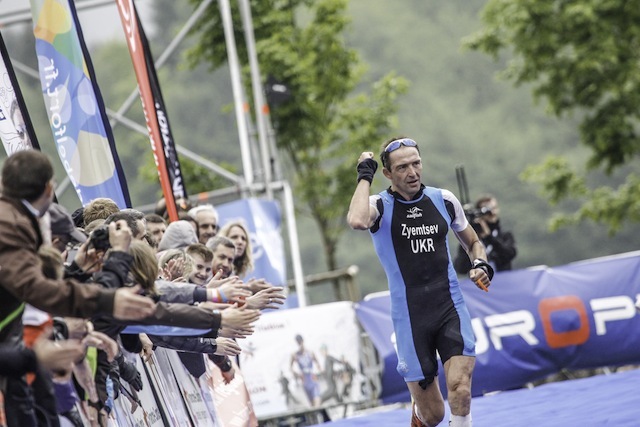 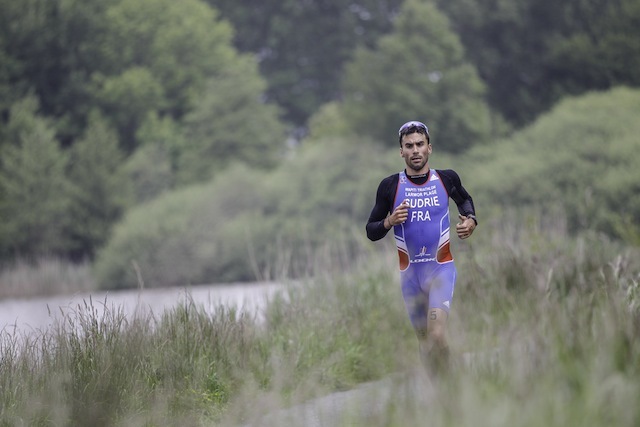 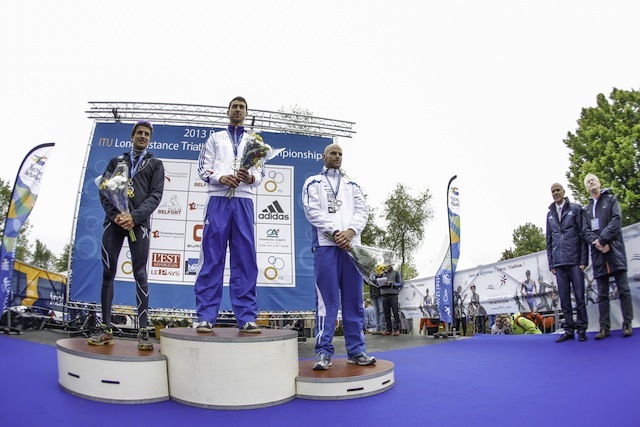 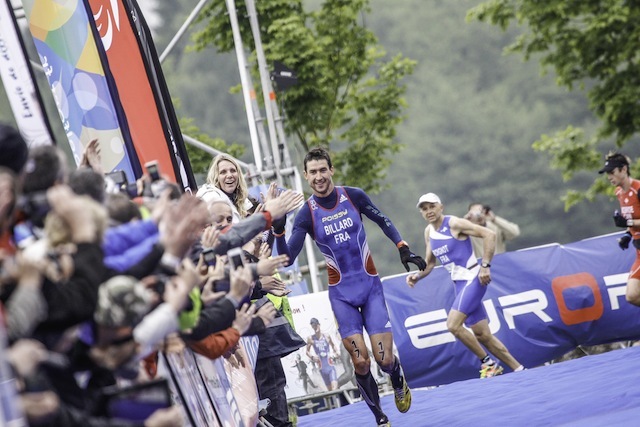 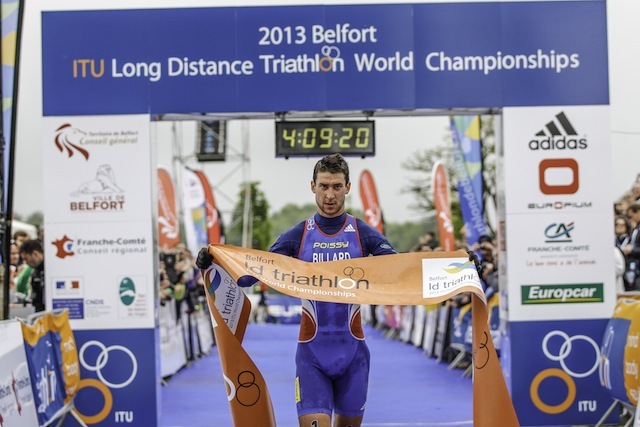 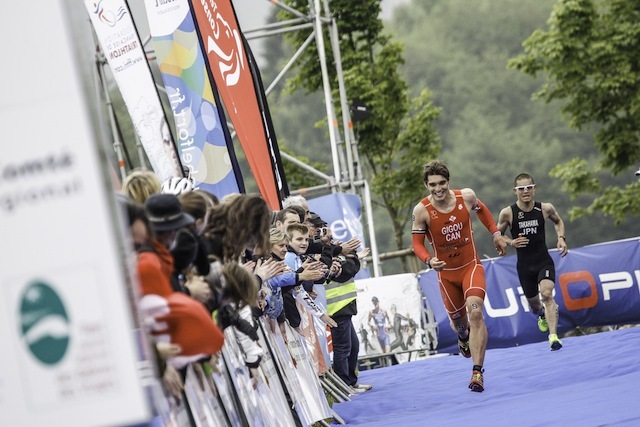 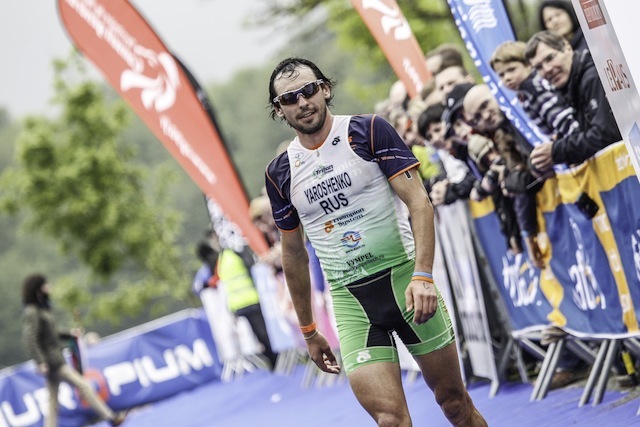 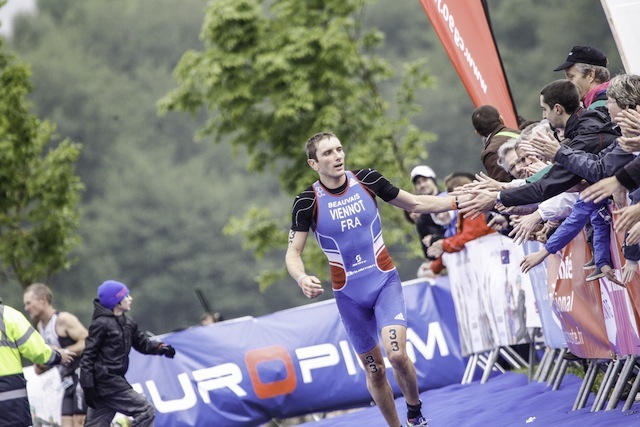 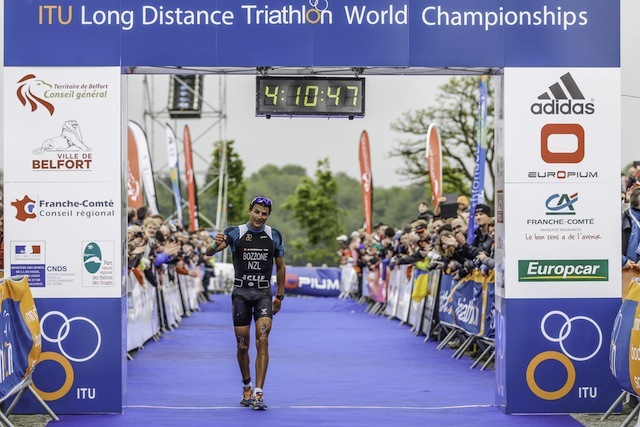 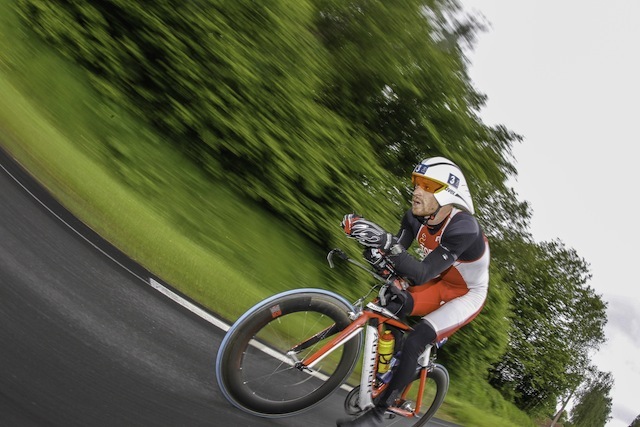 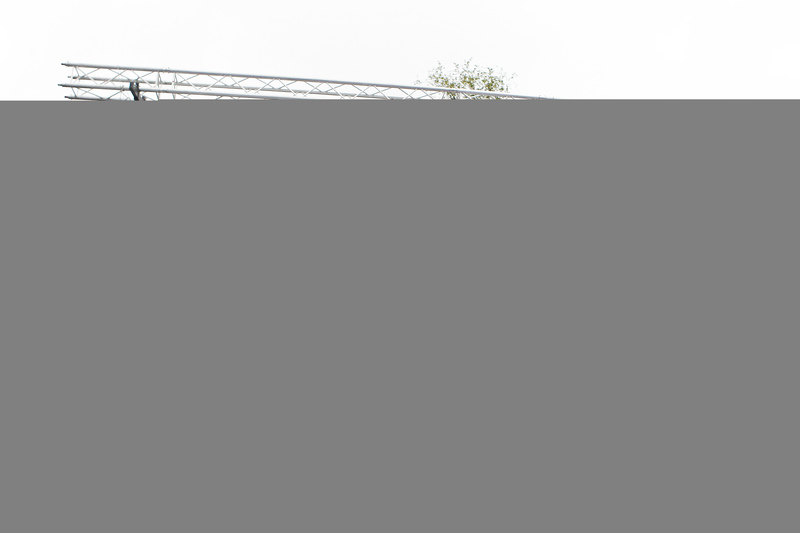 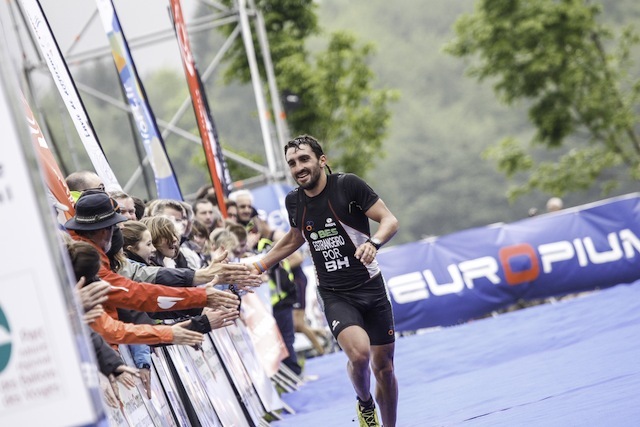 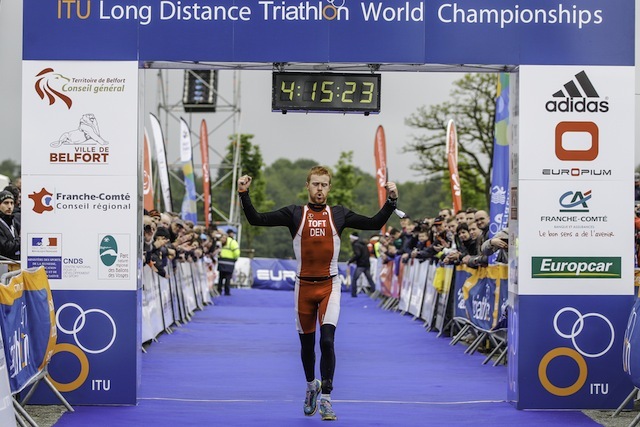 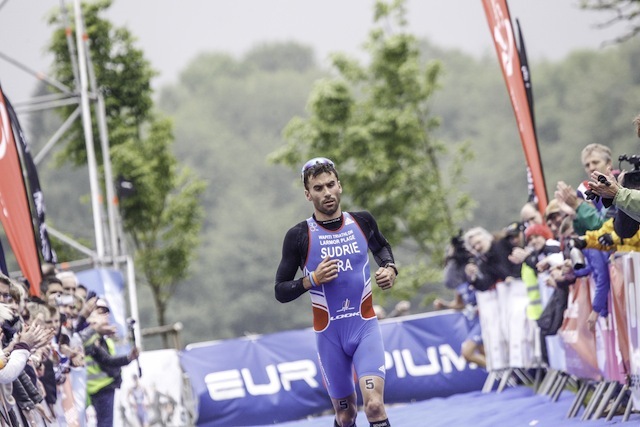 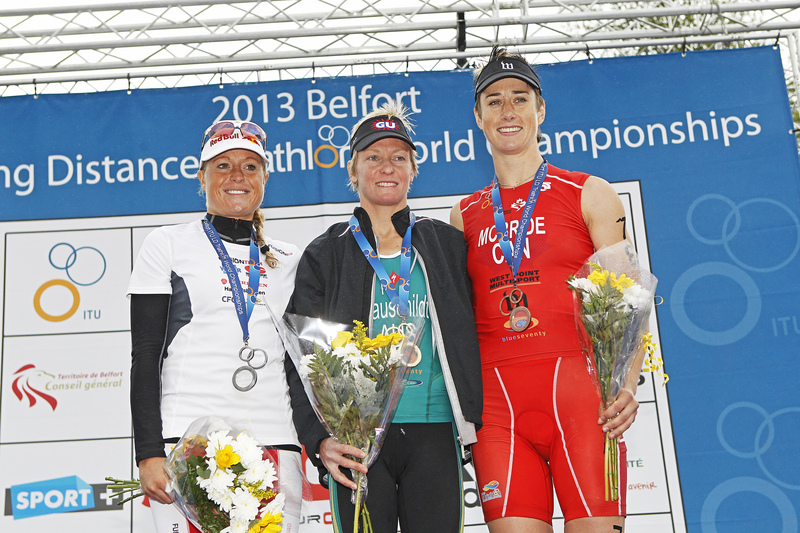 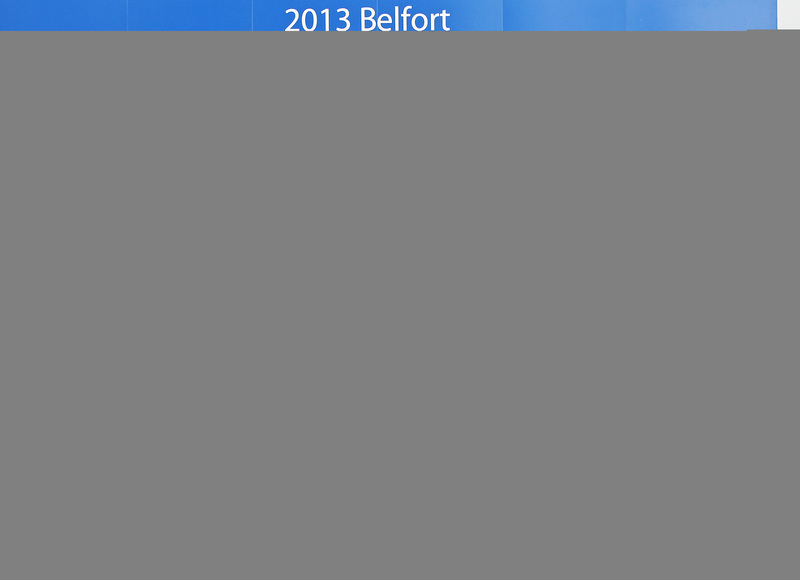 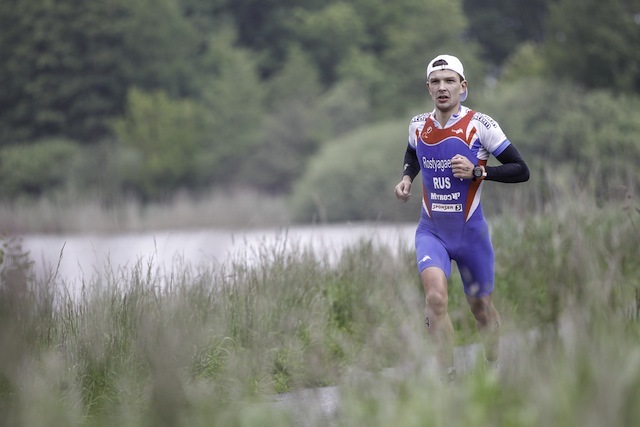 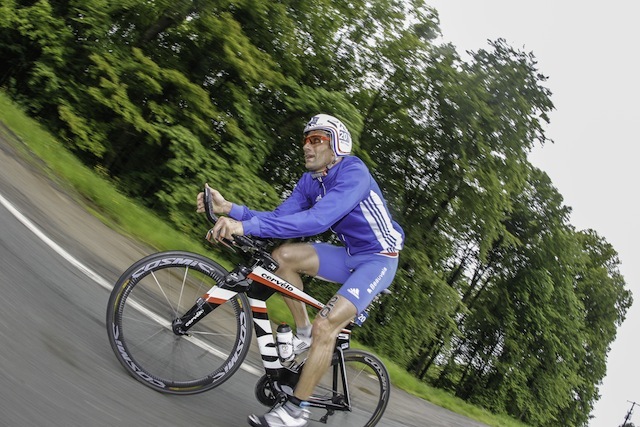 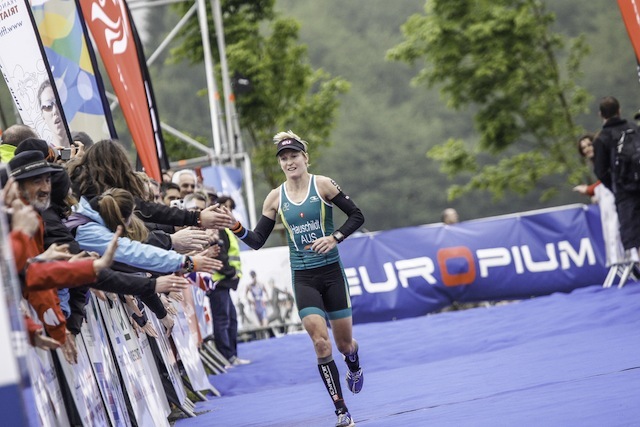 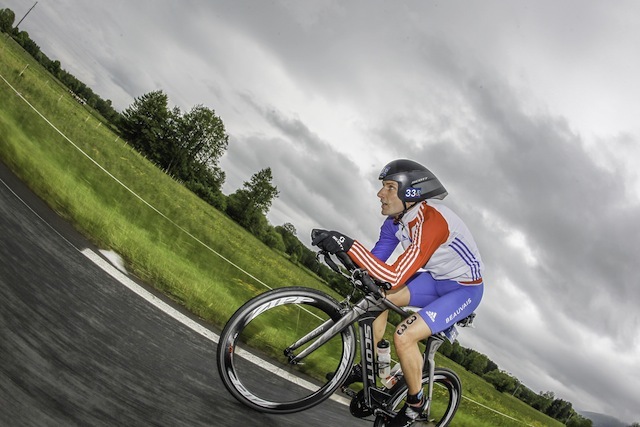 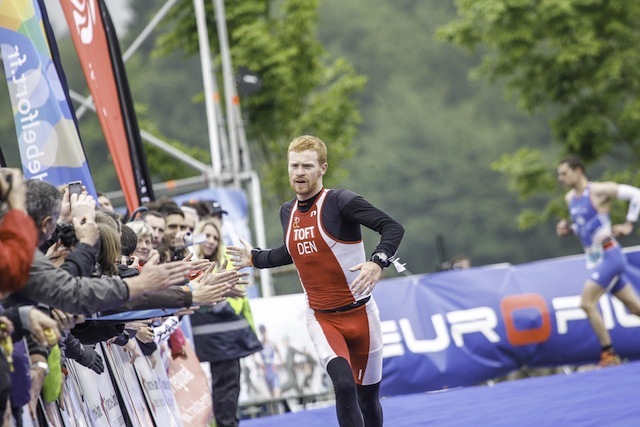 France’s Bertrand Billard delighted locals in Belfort by storming to victory to claim gold in the 2013 ITU Long Distance World Championships on Saturday. 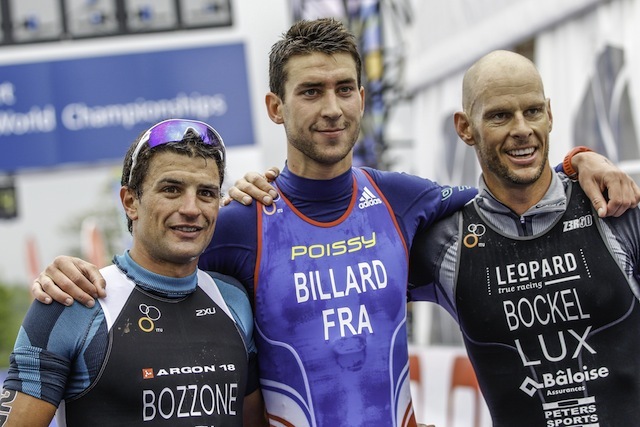 Billard finished in four hours, eight minutes and 45 seconds while Terenzo Bozzone (NZL) won silver in 4:10:43. 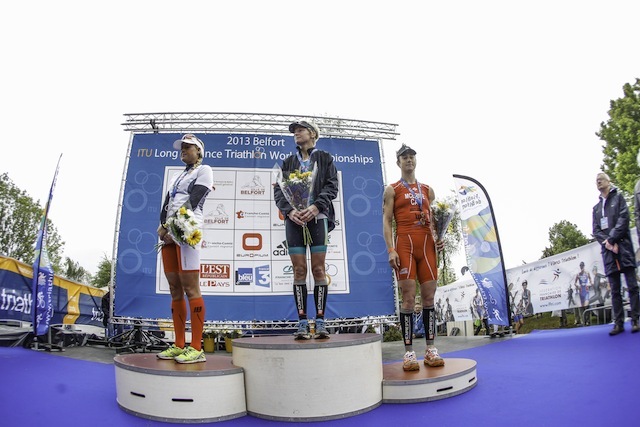 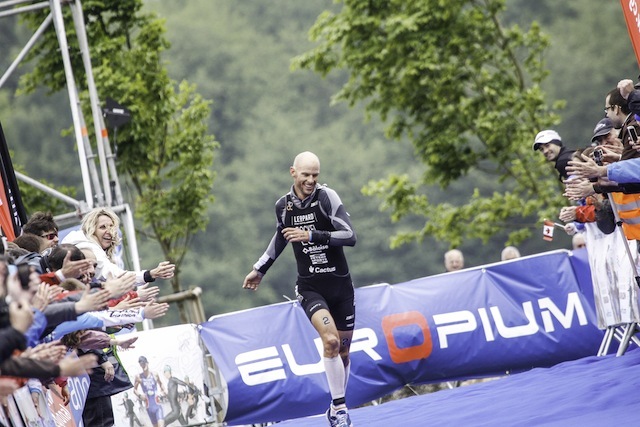 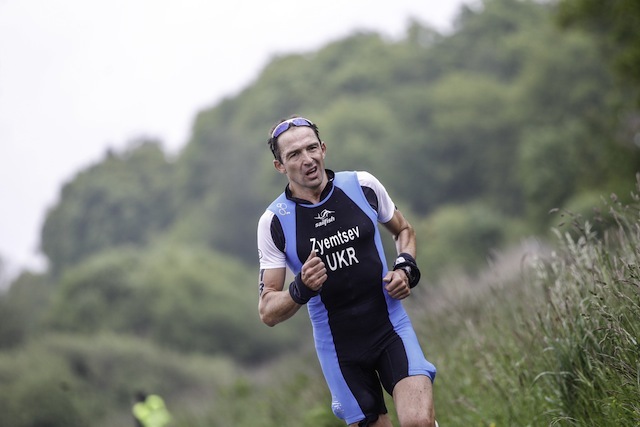 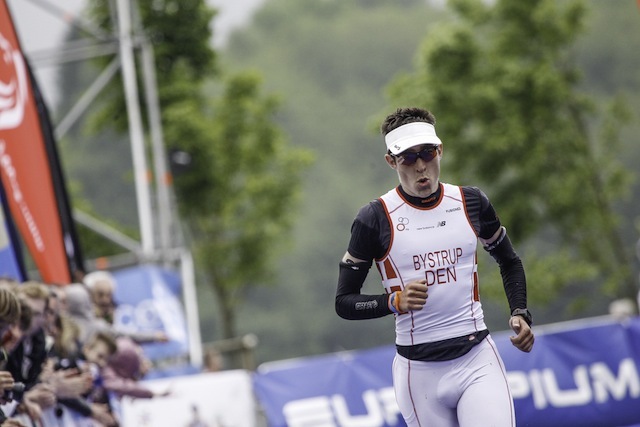 Dirk Bockel (LUX) repeated his third-place finish in last year’s race by ensuring bronze with a time of 4:11:51. 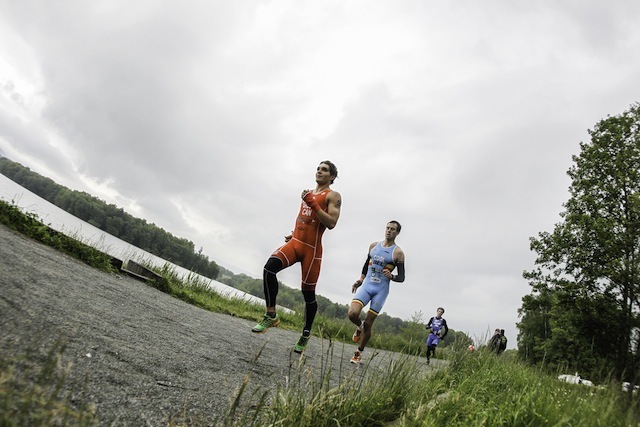 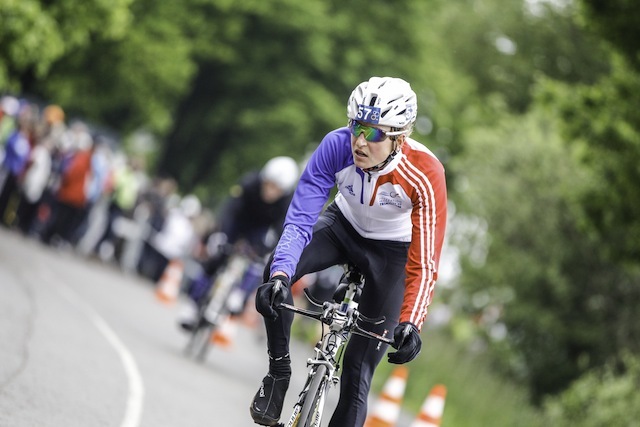 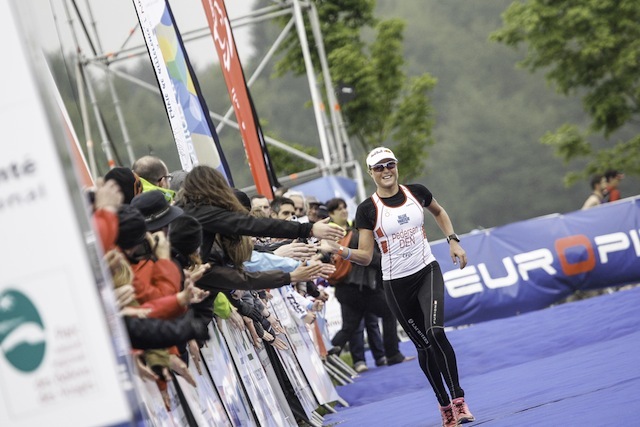 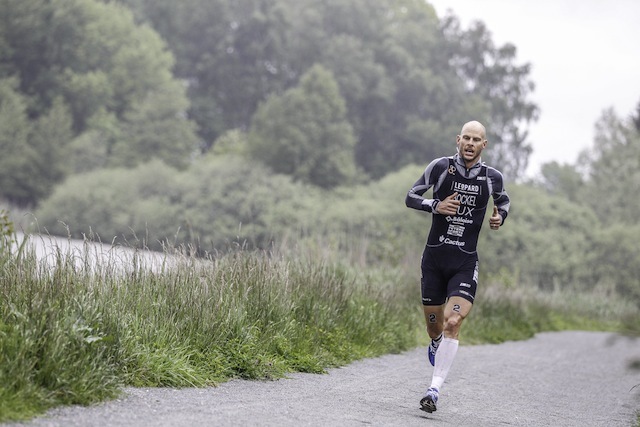 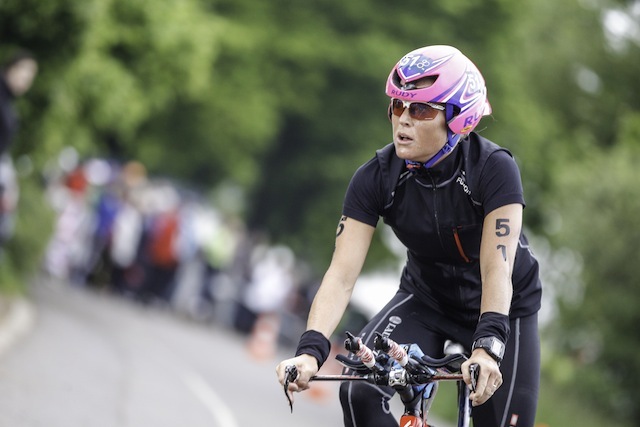 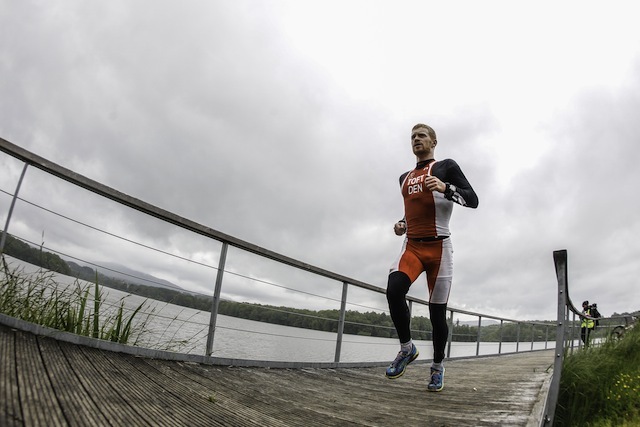 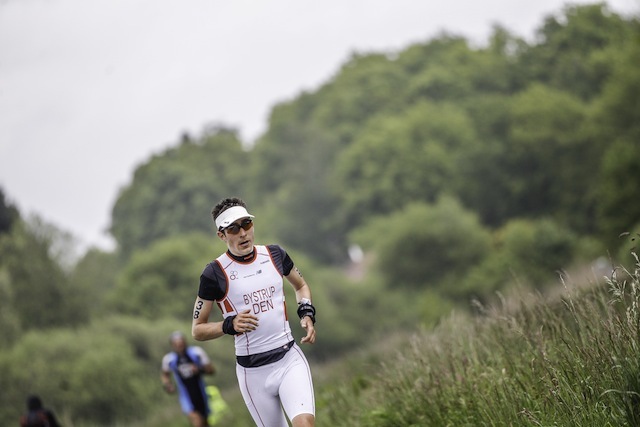 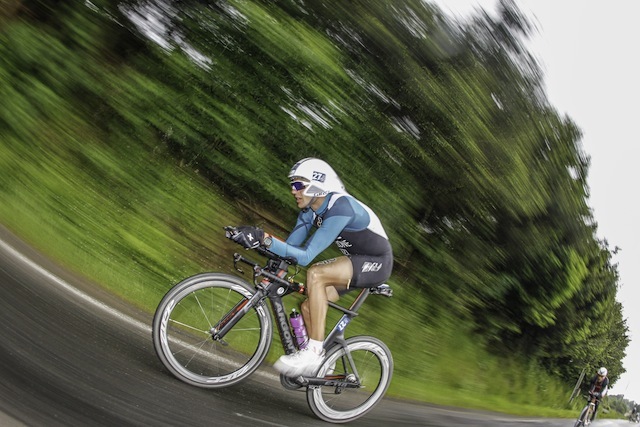 The adverse weather conditions resulted in the format being altered before the race, with the swim omitted and the course reverting to a 9.5km run, 87km bike and 20km run. 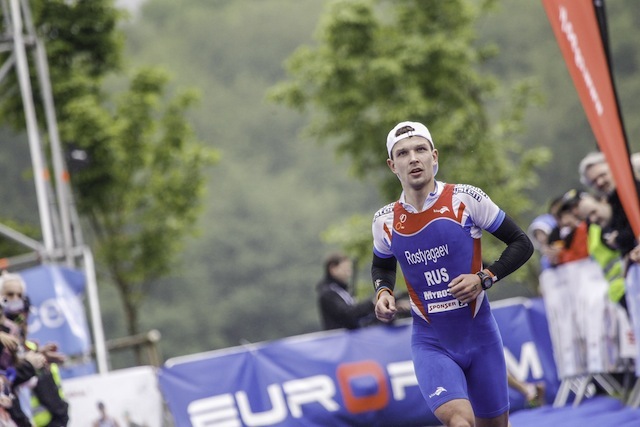 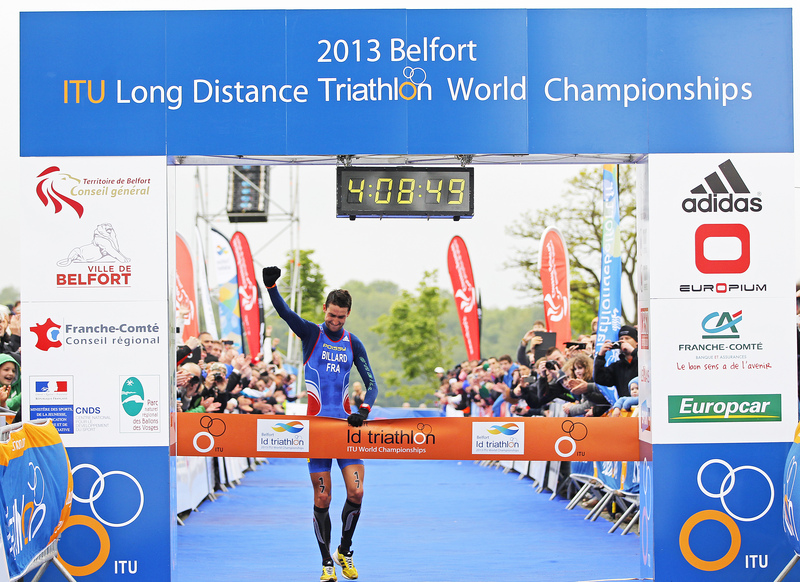 Nikolay Yaroshenko (RUS) took full advantage of the changed format, leading after the first run in a time of 32:43. 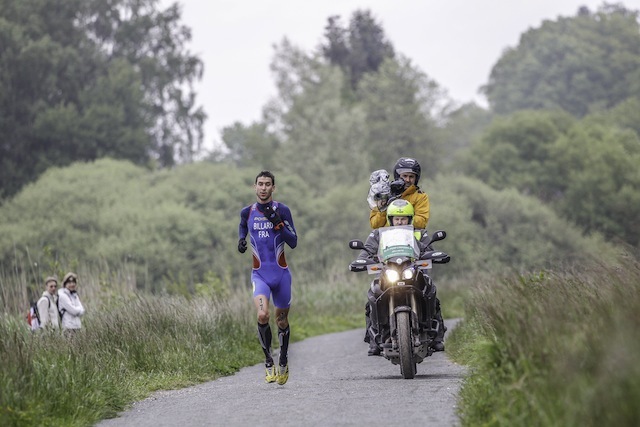 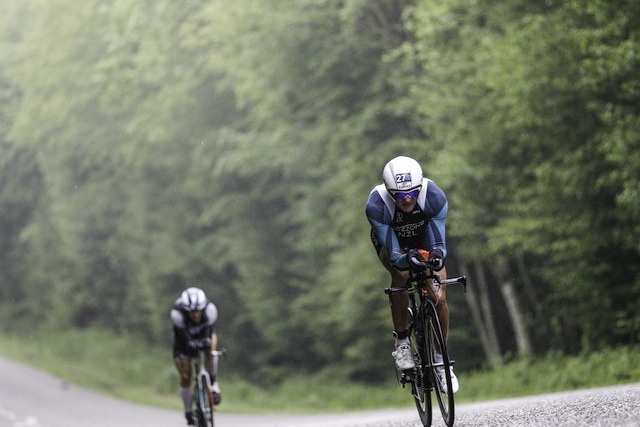 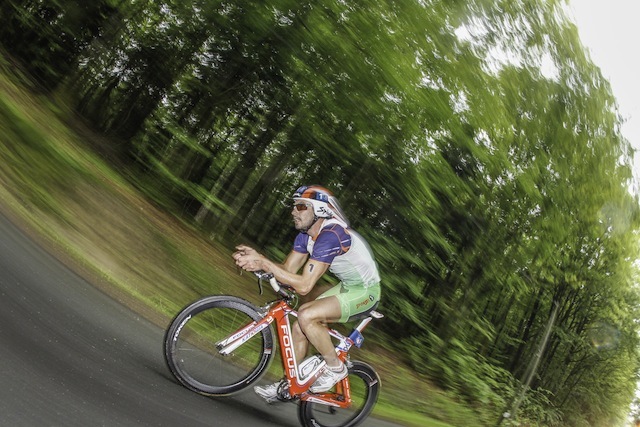 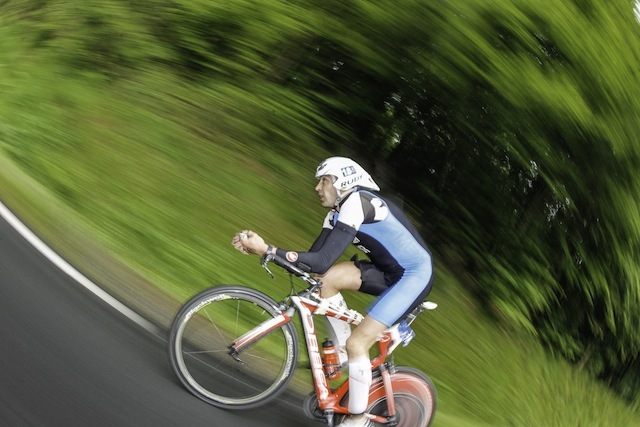 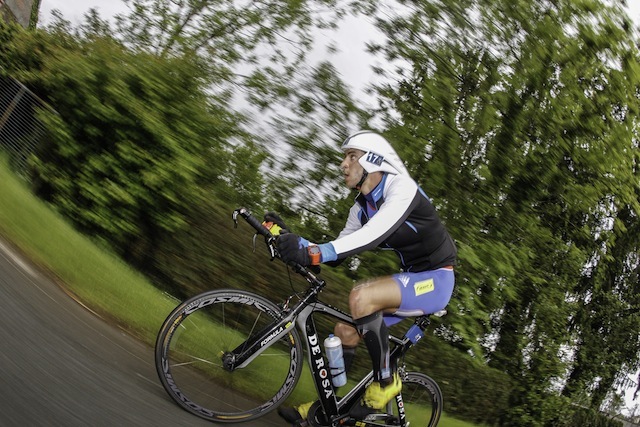 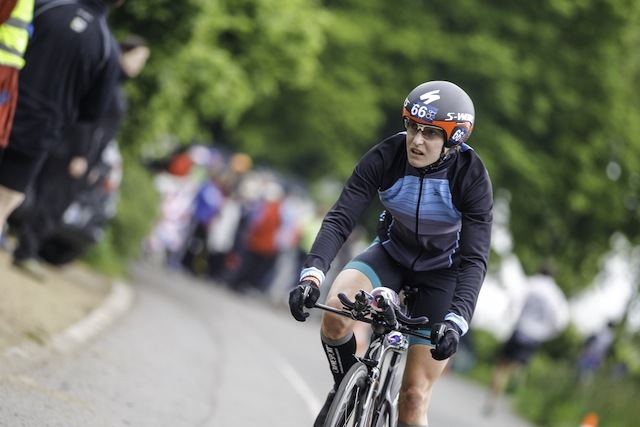 At the time, Billard was in 11th place and part of the large chasing pack but he put in an impressive bike ride – particularly during the grueling climb of the Ballon d’Alsace – and came into T2 almost three minutes ahead of Bockel and Bozzone. 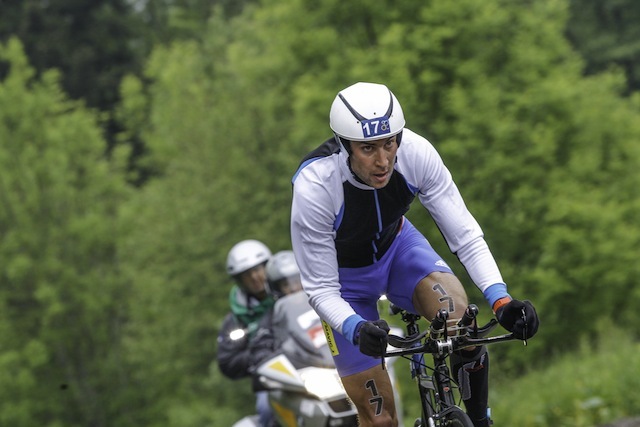 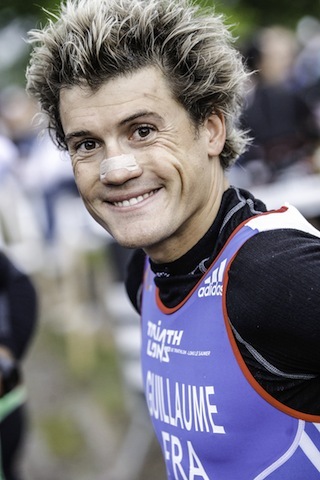 Viennot Cyril (FRA) and 2010 world champion Sylvain Sudrie (FRA) were 5th and 6th respectively after the 87km bike leg, raising hopes of a 2007 repeat when the event was last held in France and the podium was made up of all Frenchmen. 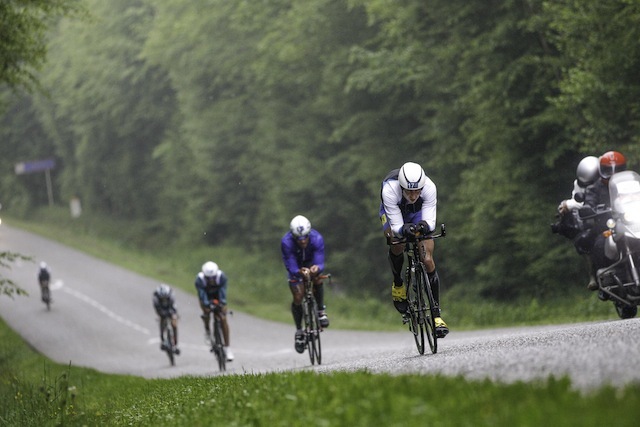 But they could not keep up with the leaders during the final run, with Cyril eventually finishing in 5th, seven minutes behind Billard, and Sudrie dropping to 11th, 20 minutes off the winning time. 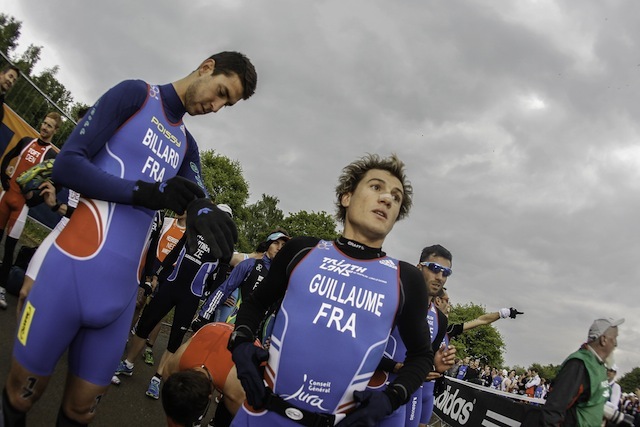 Billard, however, was not about to deny giving the home crowd something to cheer about. 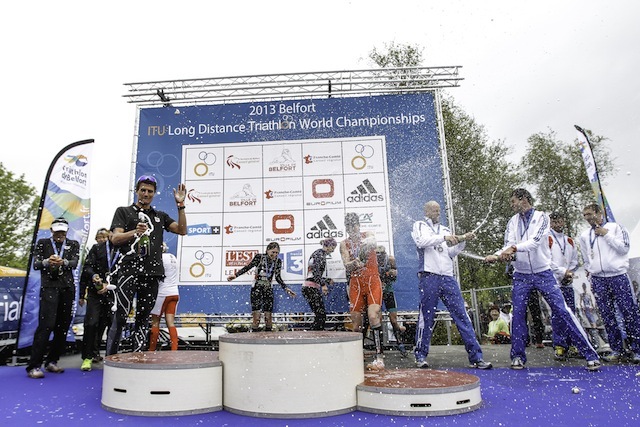 With a strong 20km run split of 1:13:53, he ensured his first world championship victory. 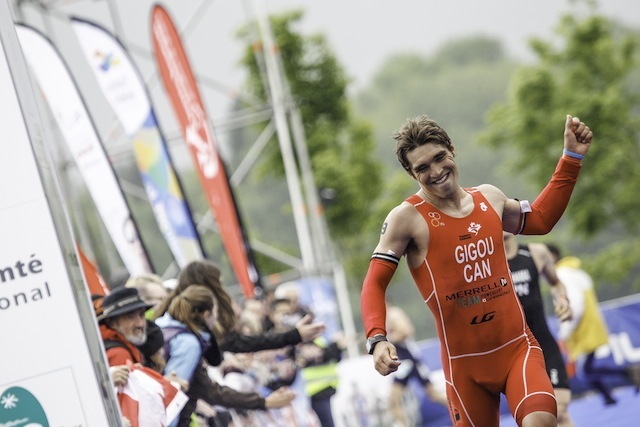 A fast transition after the bike allowed Bozzone to take second place and the New Zealander then clocked the fastest time for the 20km (1:13:34) to ensure silver medal, with Bockel settling for a second bronze in as many years.